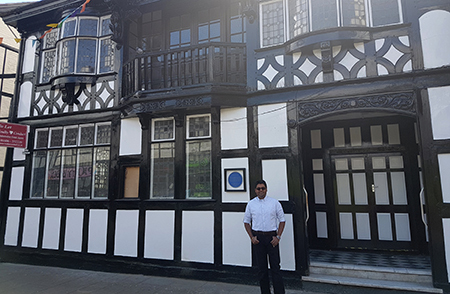 The former R.A.O.B Club in Northwich has been restored and given a new lease of life, thanks to help from Cheshire West and Chester Council and private landlord, Avi Aravinthan. The club in the town centre had fallen into disrepair following its closure and it didn’t seem likely that it would ever be returned to its former glory. That is until landlord, Mr Aravinthan, of Hartford took on the challenge of redeveloping it as a mixture of commercial and residential accommodation. The club is a listed building and an important feature of the Northwich High Street. However, this came with its own problems and resulted in the contractors working closely with the Council Conservation team and officers in the Empty Homes team. The maximum amount of grant funding available is £10,000, per unit of accommodation created, up to a maximum of £50,000 per scheme. This is subject to grant conditions and inspection by a council officer. In return for financial assistance, the landlord is required to provide the Council with nomination rights for a five year period.